The U.S. Open is winding down and the cream of the crop is rising. World women’s No. 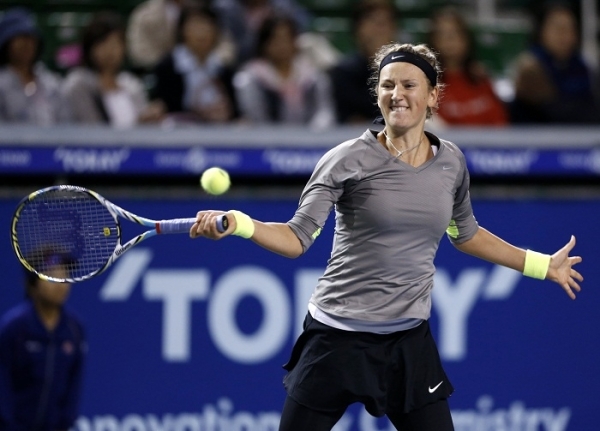 2 Victoria Azarenka is set to take on Flavia Pennetta today for the opportunity to advance to the finals. Live stream the action by clicking this link. Azarenka is the youngest member of the final four in the U.S. Open women’s draw, a surprising fact considering tennis’ reputation as a game for young legs. “I’m a baby, what can I say?” the 24-year-old Azarenka said. She cited the quality of medicine and training regimens available to this generation of players for stars extending their careers into their 30s. Although she still must take care of Pennetta in the semifinals today, many are salivating over a potential Azarenka-Serena Williams matchup in the final. Azarenka is one of just three women who have been able to topple the dominant Serena in 2013.